It's sun and fun when summer comes around but all that moving around on top of the scorching heat that comes with living in the tropics means more sweat. To keep yourself smelling fresh and fruity, it's best to keep a body mist with you. As for what kind of scent, choose a scent that's mild and not too overwhelming since you wouldn't want the smell of sweat to mix badly with whatever scent you're wearing. 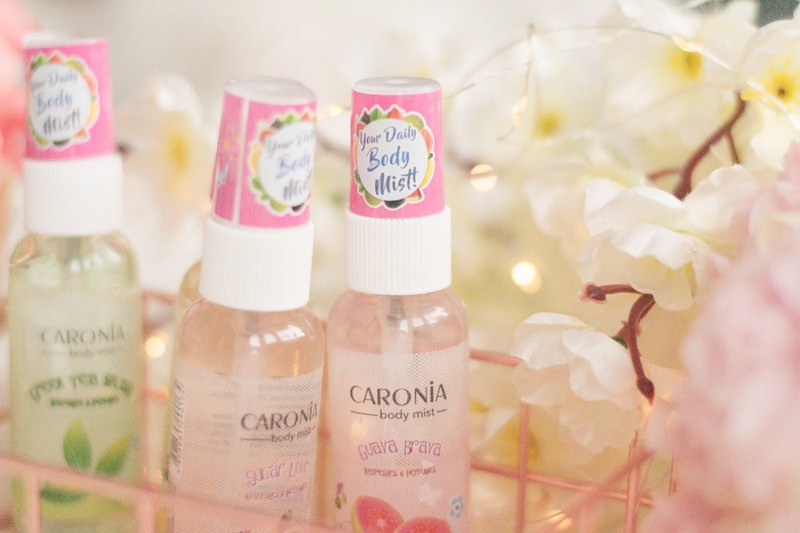 I've teamed up with Caronia Body to let you and your friends try out Caronia Body Mists, but first, let's talk about the body mists. I love mangoes, not only because of its taste but also because of its smell. Just like mangoes, the Mango Mania smells sweet and fruity. A spritz of the Mango Mania will leave your skin with a mild smell of mangoes. Mango Mania is my favorite among the four Caronia Body Mists. The Guava Brava doesn't smell as fruity as the Mango Mania but it has the tiniest hint of a floral scent. I didn't actually that I would like the Sugar Love since I don't want to smell super sweet. However, to my surprise, it actually smells pretty good! At first, I thought that it smelled sickly sweet but after a few seconds, the smell fades into a delicious scent. If I didn't know better, I'd say it almost smelled like coconuts but it's actually the delicious smell of caramel. If you’re not fond of fruity scents, Caronia Body Mist is also available in Green Tea Splash. I'm not particularly fond of this one since I prefer fruity scents. The smell lasts longer if you spray it on your clothes. There will be two winners who will each win 2 gift packs of Caronia Body Mist, one for them and one for their bestie. 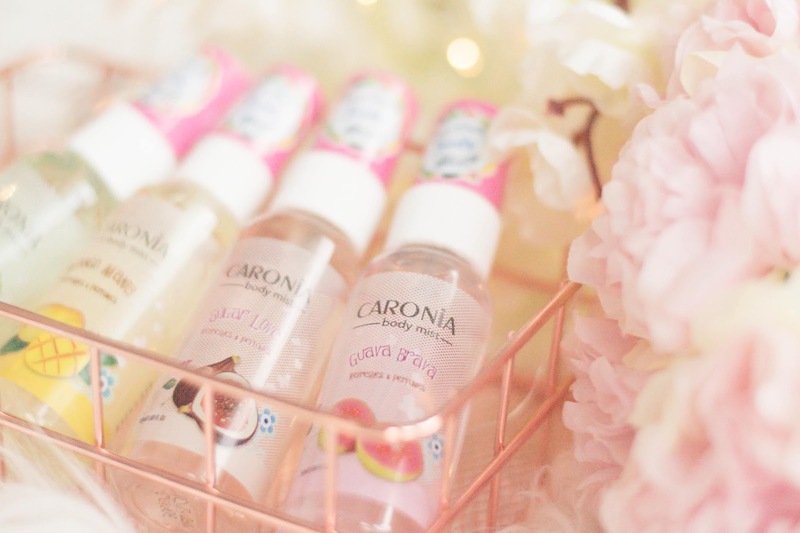 There will be one winner who will win 1 Caronia Body Mist gift pack. 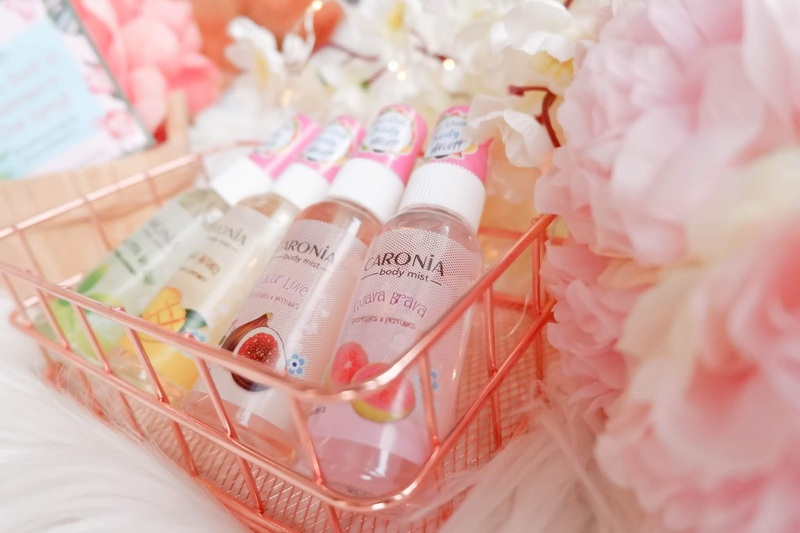 There will be a total of five Caronia Body Mist gift packs up for grabs, each gift pack contains four Caronia Body Mists. 1. Follow @Prelel and @CaroniaBody on Instagram. 2. Like fb.com/yuprelel and fb.com/caroniabody on Facebook. 3. Tag 3 of your friends on this photo. There's no limit to tagging your friends. More tags means more chances of winning because the friend you tagged might just win and give you the other gift pack! 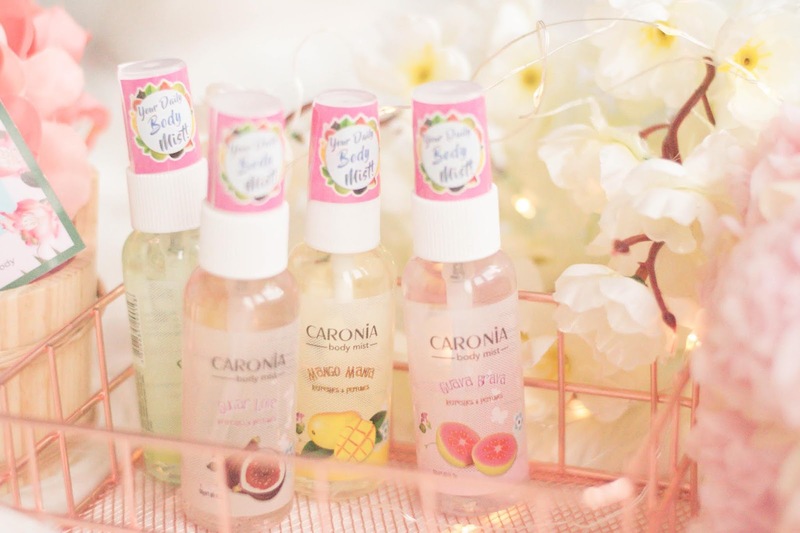 Of course, you can share the Caronia Body Mist with the whole squad because there are 4 body mists in each gift pack! 1. 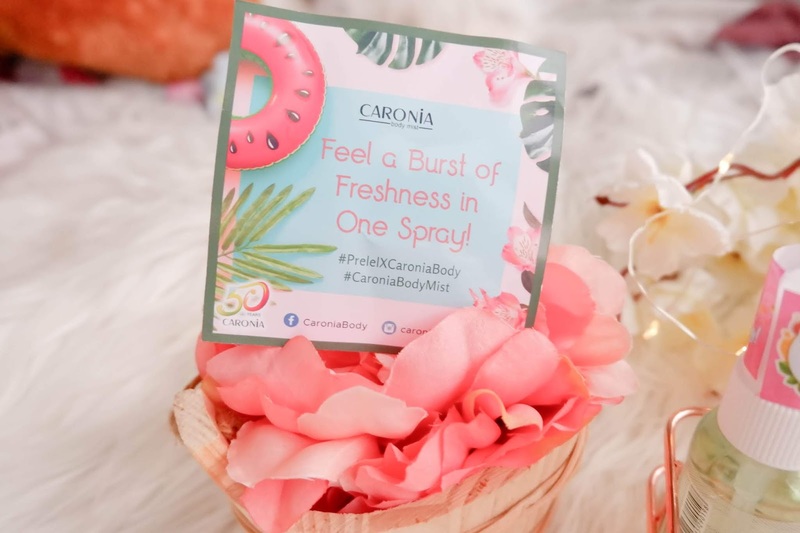 Share this giveaway post on Facebook, regram the giveaway post on your Instagram feed and use the hashtags #PrelelXCaroniaBody #CaroniaBody #CaroniaBodyMist. Your post must be set to public. 2. Like and follow my other pages @dreamerbabble and @foodiemumshie on Instagram and Facebook. If you win, I'll shoulder your shipping fee if you finish these 2 steps. Otherwise, the winner will shoulder the shipping fee or we can meet up somewhere in QC. I always take the time to check the entries, so make sure you follow all of the steps! This giveaway is open to Philippine residents and will end on April 30, 2019. Good luck! 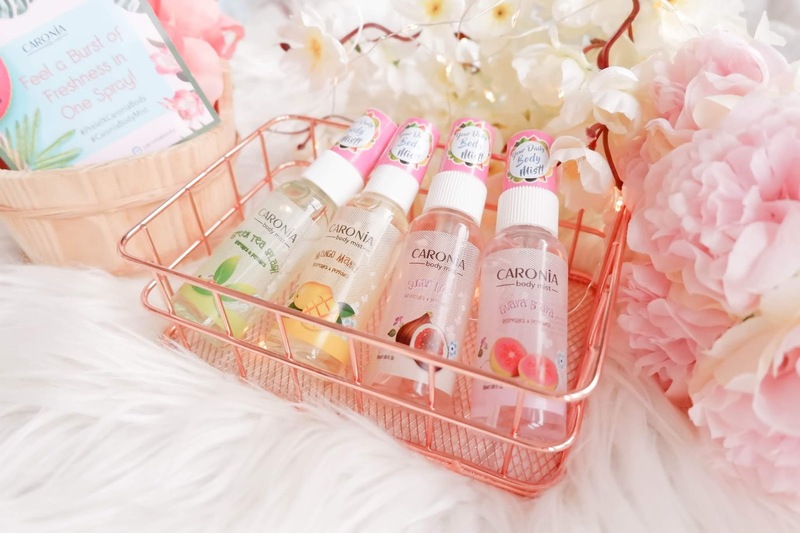 Which Caronia Body Mist variant would you like to try? Wow i want to try the mango mania! Hope i can try it too mommy. Thank you for the chance po. I love also the scents of fruity and all that. Summer na summer kumbaga.